A valuable artifact known as "King's Seal" ("Ouin") is stolen by a mysterious group of people during transport in the Soul Society. Toshiro Hitsugaya, the 10th Division Captain of Gotei 13, is assigned to transport the seal, fights the leader of the group, and shortly after, goes missing. After the incident, the Seireitei declares Hitsugaya a traitor and orders the capture and execution of Hitsugaya. 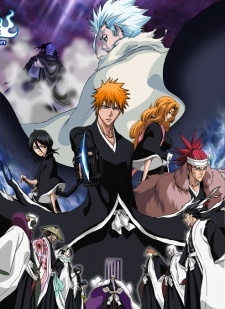 Ichigo Kurosaki refuses to believe this, and along with Rangiku Matsumoto, Rukia Kuchiki, and Renji Abarai, swears to uncover the real mastermind of the stolen seal, find Hitsugaya, and clear his name. Meanwhile, a rogue Hitsugaya searches for the perpetrators and uncovers a dark secret regarding a long dead shinigami.